Watercolor or heavy white paper, 12×18. Start the lesson by discussing the concept of symmetry. I always show the students how the human body is symmetrical. Discuss how butterflies are symmetrical – one side is the same as the other side. Show pictures of butterflies. Fold the white 9×12 paper in half. Folded the sheet of paper should be 6×9. 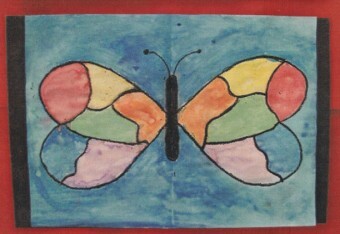 Have the students draw half a butterfly – do examples on the board. (If necessary have a few different templates on hand). Have the students cut out the half of butterfly. When they are finished cutting they will have a whole butterfly. 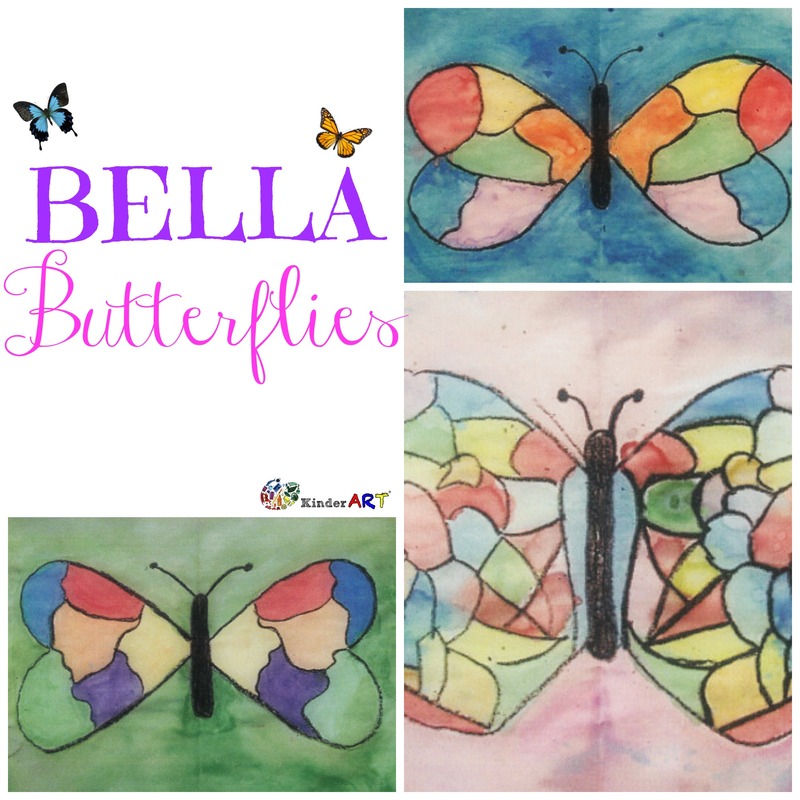 Have the students trace the butterfly on the 12×18 paper with a black crayon. 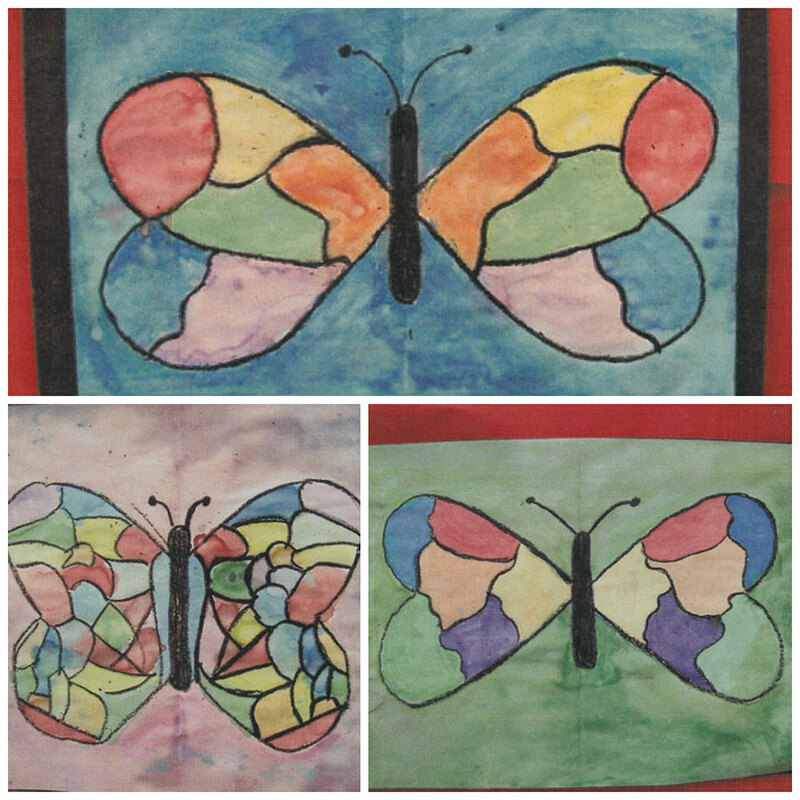 On one side of the butterfly have the students make different sections using the black crayon. Encourage the students to make the sections medium to large. 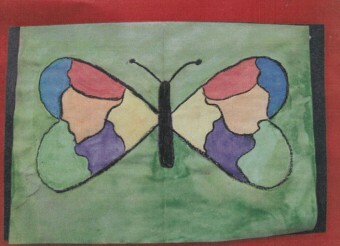 When completed with the one side have the students fold the butterfly in half and rub the paper so the black lines will appear on the other half. Have the students go over all the lines one more time with a black crayon. 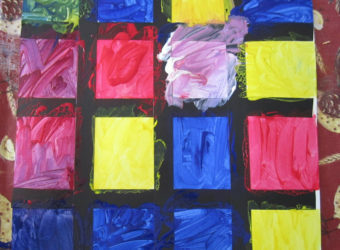 Make sure the students press hard on the crayon so the black is very dark. 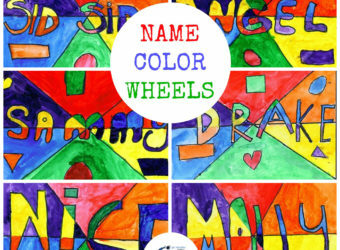 Discuss watercolors with the students and have them paint the butterfly. 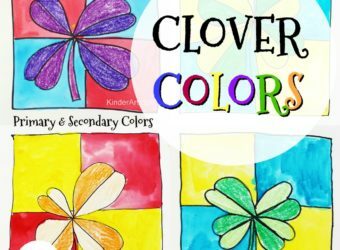 Since the black lines created by the crayon will not allow the watercolors to bleed into other sections, this is a form of crayon resist. 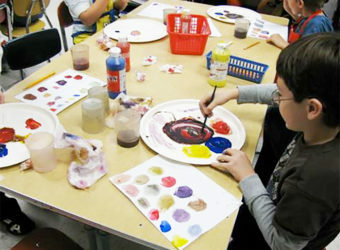 Remind them that each side needs to be the same, so as they paint one section on the right they will paint the matching section on the left the same color. Paint the background one color. Frame on a black piece of paper. 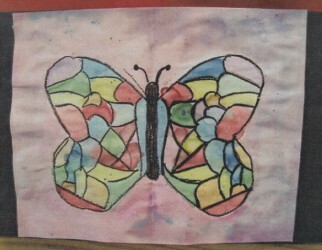 Info: Students will review symmetry while creating crayon resist butterflies.